At the Society for the overcoming of Gravity, not only the grown-ups train themselves. 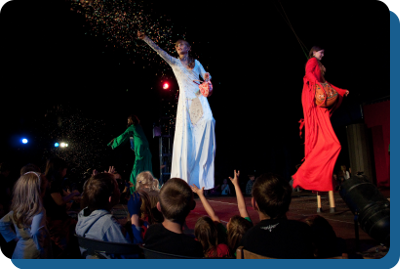 For our youth (17 years and under), there is Zirkus Zack in Friedrichshain and Circus Schatzinsel in Kreuzberg. The youth club was officially established as VUESCH gGmbH in 2016, and continues to operate in close cooperation with VUESCH e.V. (The adult’s club).